At times, I feel jealous of my counterparts writing about the livestock and wool markets. They always seem to have something positive to comment on with markets driving higher. However, markets are cyclical and things can change quickly. 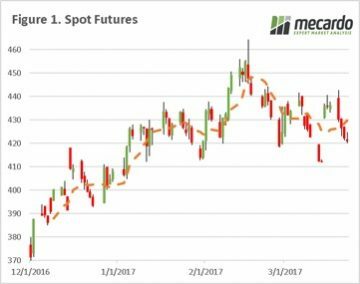 The futures market has subsided (figure 1) in the past week, as areas of dry concern receive forecasts of substantial rain in the US, and minimal bad news coming out of Europe. The reality is that the trade is concerned about USDA stock reports due next week. This asks the question, what if exports have not been high enough to deplete stocks? The extent of the global stocks is applying pressure, which since the start of the year has seen the spot futures trade in a band of 20¢/bu from 420¢ to 440¢. 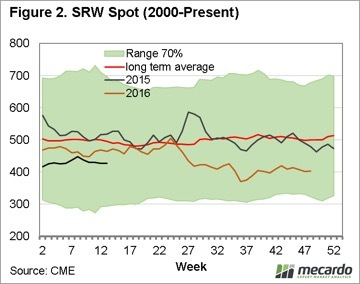 When we look at the seasonality of the spot futures contract (figure 2 -animated) we can see that we are well below the average since 2010, yet looking back further to 2000 & 2005, we are closer to the average futures price. 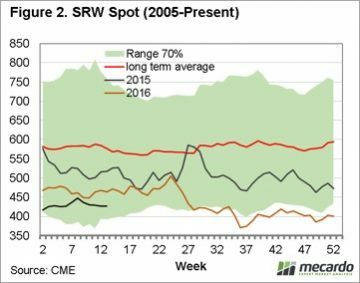 However at a local level, we have seen basis increase across all port zones (figure 3) at an average increase week on week of $3.50/mt. This is using the public bid, and there are further opportunities out there for non-public sales. 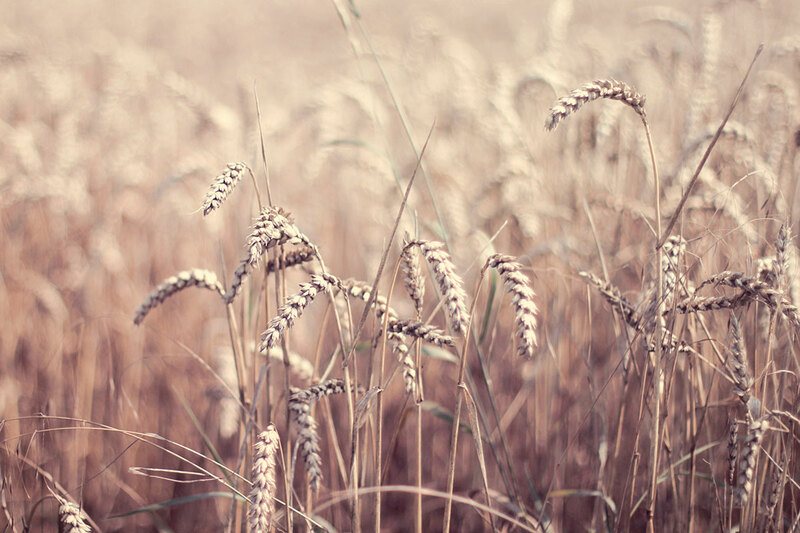 We expect also that in coming weeks, we may see improving feed barley prices as buyers scramble to fill orders for the massive sales into Saudi Arabia. So, it’s not all bad! All eyes on the northern hemisphere, every day that goes by without hiccup is a day with less risk. 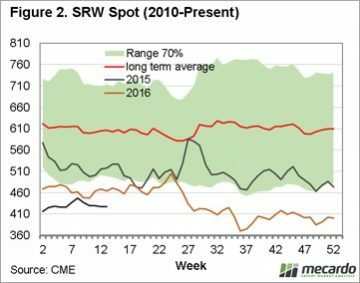 The major risk is huge carryout and an average to above average crop. We will get an insight into inventory levels with next week’s USDA quarterly stock report.